Washington, D.C. - U.S. Senator Kay Bailey Hutchison joined a bipartisan group of her Gulf Coast colleagues in sending a letter to President Obama that calls on the Department of Justice (DOJ) to respect the will of Congress and negotiate a settlement of the Deepwater Horizon oil spill case that holds BP and other responsible parties accountable under every applicable statute. The senators' letter came in response to recent press reports regarding possible developments of the settlement terms, which suggest that the DOJ is leaning toward a global settlement agreement involving a low penalty figure under the Clean Water Act in exchange for a higher penalty figure under the Oil Pollution Act for Natural Resources Damage Assessment and Restoration (NRDAR). Such a settlement would circumvent the intent of the bipartisan RESTORE Act, which was included in the transportation legislation signed into law by the President in July. 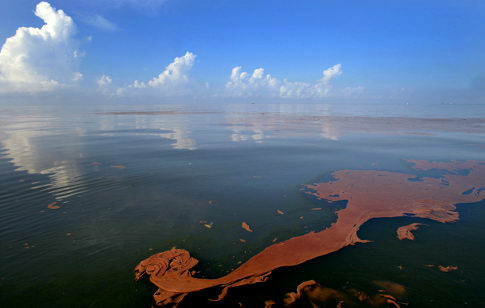 The historic legislation - which was backed by more than 100 environmental, wildlife and business groups across the Gulf Coast and the nation - dedicates 80 percent of BP penalties paid under the Clean Water Act to Gulf States for economic and ecological restoration. "These are separate penalties assessed under separate statutes, and undermining recovery attained through one by diverting fines to the other simply is not appropriate," the senators wrote in their letter. "As you will recall, the RESTORE Act passed with broad bipartisan support, clearly illustrating the will of Congress - and the millions of Gulf Coast residents we represent - that the significant Clean Water Act penalties owed should be directed toward the Gulf's ecological and economic recovery under the local input and control guidelines established by the law. Circumventing the will of Congress by shortchanging the RESTORE Act is wholly unacceptable to us. We urge you to reject such an approach. "The Clean Water Act and the Oil Pollution Act have different objectives, and the parties responsible for the spill should be held fully accountable under both. Complete ecological and economic recovery of the Gulf Coast can only occur if just penalty amounts are assessed under every applicable statute. Accordingly, we urge you to negotiate a robust settlement that does not achieve a higher amount under one of these statutes at the expense of the other." A digital copy of the letter can be found here.